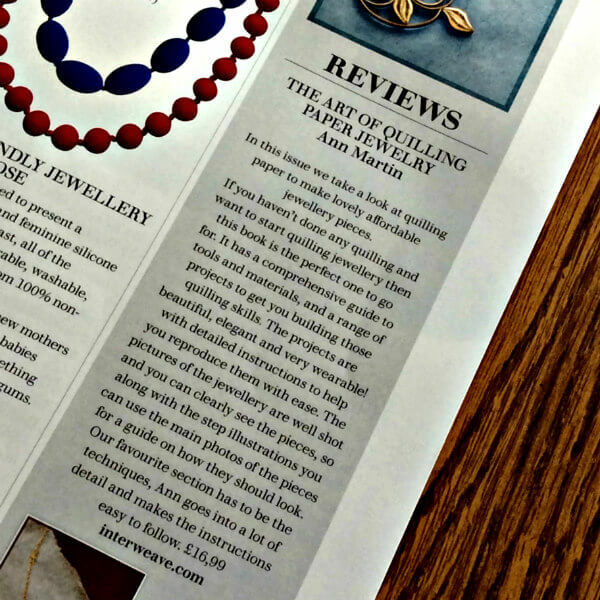 In September I was contacted by an editorial assistant at Britain's Making Jewellery magazine who had come across my paper jewelry. They were planning to do a feature about quilled jewelry in an upcoming issue - would I like my designs to be included and could I send over high-res images? Yes and yes! I replied to say that just last year my how-to book about making quilled jewelry had been released. 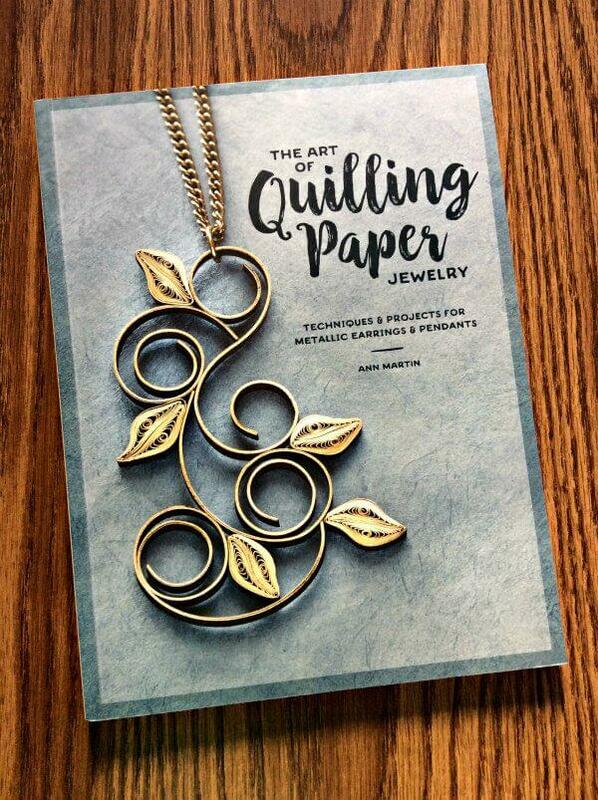 This led to checking with Interweave to make sure it was fine to use images from The Art of Quilling Paper Jewelry, and I later learned that a review of the book would be included as well. When I received the issue of Making Jewellery in the mail last week, I was delighted to see that they had indeed used the photos in the grandest way - super-size! - and had written a really nice review. 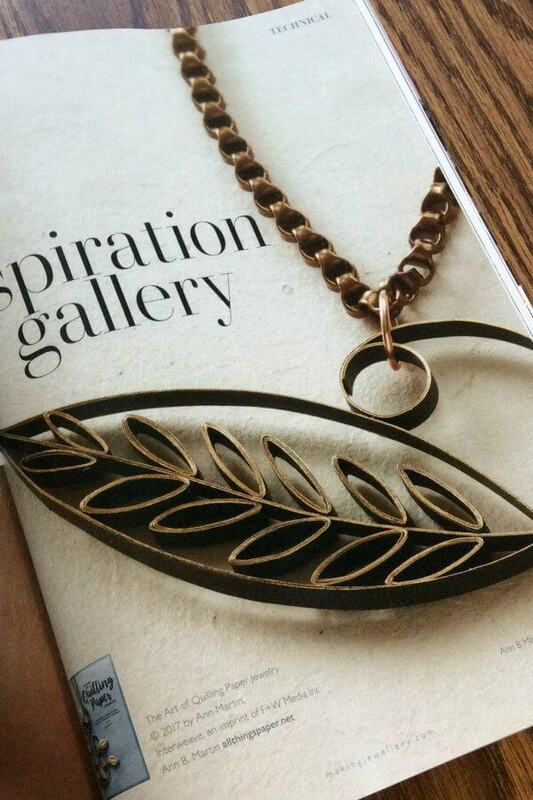 All in all, the magazine devoted fourteen pages to quilled jewelry - how nice is that! There is a basic tutorial for getting started, another for a pair of pretty earrings, and many examples of quilled jewelry. 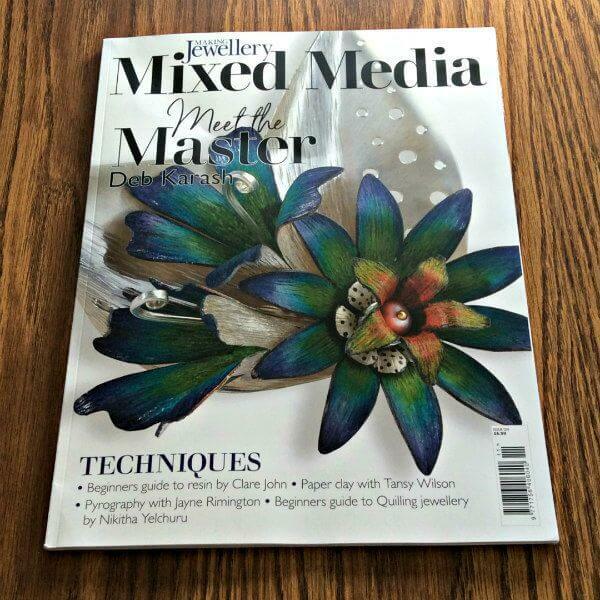 It is definitely one of the most comprehensive quilling articles I've ever seen in a magazine. In addition to quilling, there are articles about working with resin and paper clay, pyrography, and handy templates for making boxes to gift your jewelry. 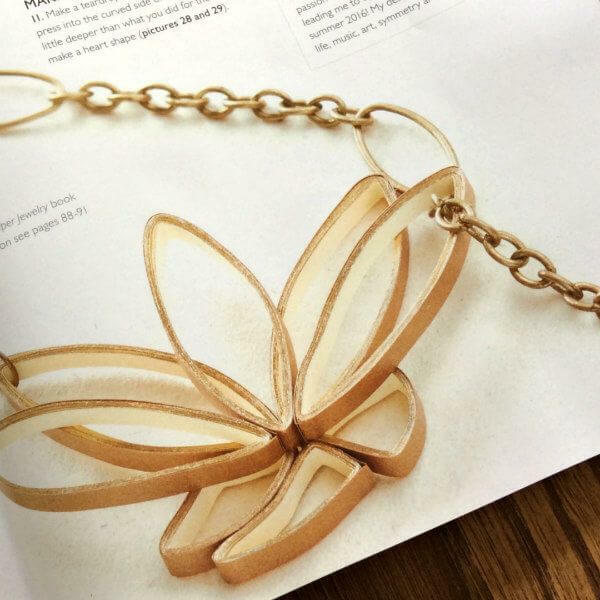 Another thrill was seeing a beautiful article about my friend in paper, Liz Hamman, who was one of the first paper jewelry artists I featured on this blog back in 2009! She is still making gorgeous jewelry today, so I know you'll love reading about her too. The magazine (issue #124) is on newsstands now in the UK and is available via an annual digital subscription for those of us elsewhere in the world. That is awesome. Darn I wish I could get my hands on a physical magazine. Lol. Congratulations and such beautiful photos of your gorgeous jewelry. Thank you, Erica! I wish you could too... I think it would sell very well on this side of The Pond. It's a beautiful magazine. Congratulations! How thrilling for you and I hope it increases your book sales. It is a lovely book, I recently had a chance to borrow it from the library and it was a pleasure to spend time with it. Wishing you a happy holiday and good health. Thanks Karin! The timing of the article was a stroke of luck and I'm so glad to hear you like the book. Wonderful article - congratulations on a well deserved spin in the spotlight Ann!! !